Remember the Raspberry Lemonade we posted last friday? Hopefully you made some for Memorial Day . . . if not, there are many long hot summer days ahead . . . Lemonade is a favorite summertime treat. 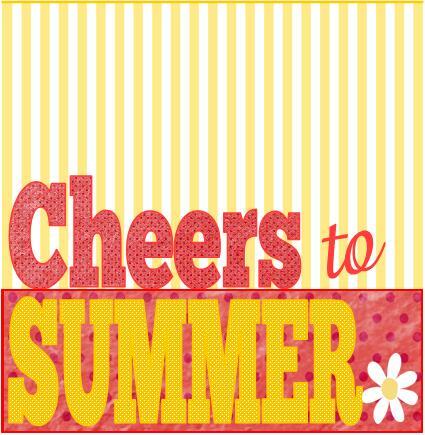 Why not share the summer love – Just mix it up and share a quart with a friend, teacher or neighbor. A perfect summer or end of school gift. We’ve also created a recipe card if you want to pass it along! You may also like Brazilian Lemonade, Sparkling Rhubarb Lemonade, Sparkling Peach Lemonade, or this awesome Lemonade Bar. 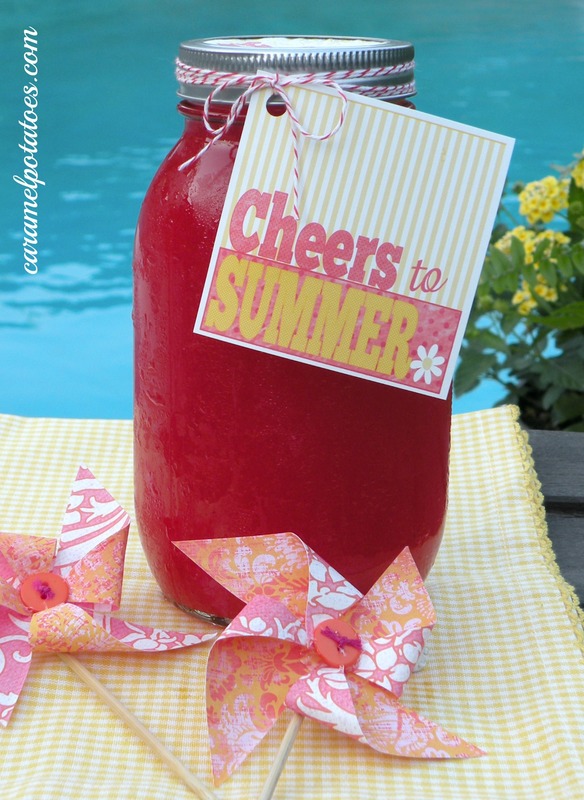 I love this idea – I am going to make this for my team on last day of school! Thanks, I always like having your printables. Another cute tag – thanks for sharing! What size mason jar does the lid topper fit? thanks for the question Teri – I should have thought to clarify that. The topper fits a small-mouth mason jar! Enjoy your lemonade! I love both the printable and the recipe! Thanks for sharing. I’d love for you to pass by my linky party tomorrow and link up some of your awesome recipes and crafts! 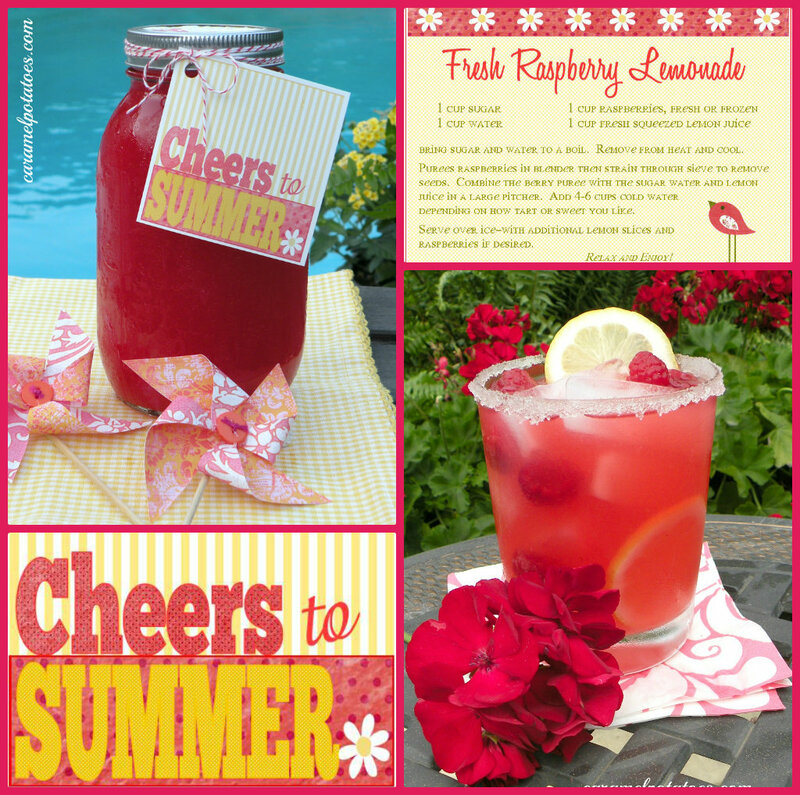 The lemonade is very refreshing and the printable is lovely. Thanks for sharing.